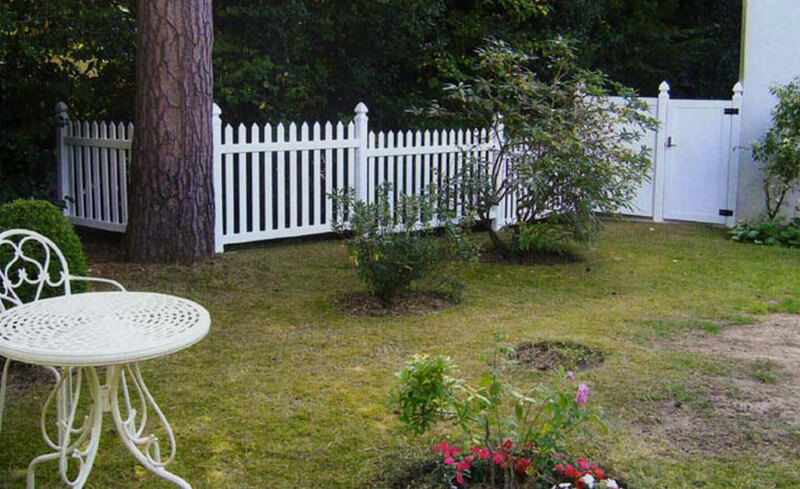 The finishing touch to your fence, the gate. We understand that a gate can really put an exclamation point on your property, both from a practical and an aesthetic point. This is way our gates come with the same lifetime warranty as the rest of our fencing. We have gone the extra mile to make our gates as good as they can be, we have invested in manufacturing, research and materials in order to have an unbeatable product. Each gate comes with a steel insert to support the hinges and ever gate has over 100 rivets in its construction. 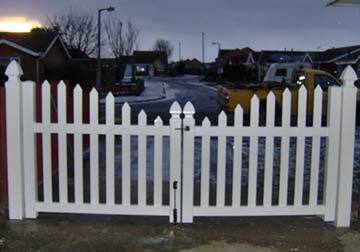 In addition, we can make a huge array of custom sizes and styles insuring that the gate you want is the gate you get. 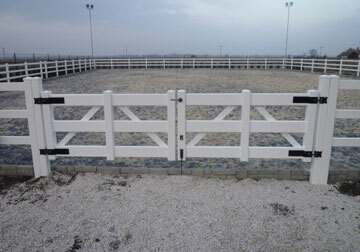 We supply matching gates for all residential styles, ranch and horse fencing. Our gate kits are complete kits that include everything to build a lifetime gate! All of our gates are swing gates. 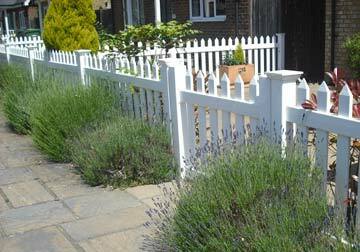 We do not carry automatic gates, however our vinyl can be adapted to most automatic systems. 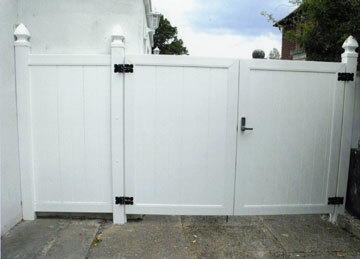 When you need an extra large gate, like for a driveway, we can also provide a double swing gate. Simply combine 2 gates together. 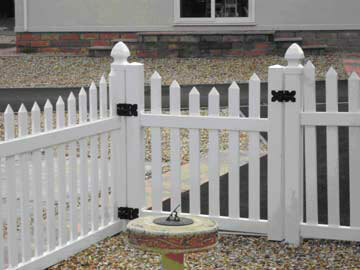 We automatically include 1 Drop Pin Kit per double gate.